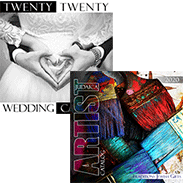 Get ready to play favorites with TraditionsJewishGifts.com's large selection of Bar Mitzvah party favors and Bat Mitzvah party favors that are guaranteed to fit within any budget. When it comes to Bar Mitzvah party favors, there are plenty of options from which to choose. Many party planners prefer to take the traditional route when picking appropriate Bar Mitzvah party favors, opting for Bar Mitzvah favors that are symbolic of the celebration. TraditionsJewishGifts.com offers affordable Bar Mitzvah favors that incorporate the most recognizable symbols in the Jewish faith such as the Hamsa. These popular and practical Bar Mitzvah favors are ideal keepsakes to commemorate the special occasion without breaking your bank. TraditionsJewishGifts.com has an assortment of unique and memorable tchotchkes that make for great Bat Mitzvah party favors. The selection of Jewish gifts for Bar Mitzvah includes Golden Hamsa Soap On a Rope Party Favors, Bar Mitzvah Boy Keepsake Box, Cell Phone Charm for Bar Mitzvah, Evil Eye Hamsa Key Chain, Blue Star Shalom Bookmark and the Floral Peace Shalom Bookmark. Bracelets and other jewelry are also popular offerings for Bat Mitzvah party favors. TraditionsJewishGifts.com carries the Red String Bendel, Floral Hamsa Bracelet, Hamsa Link Bracelet with Stones and Jewish Symbol Bands—Tie Dye Pack. Select any of these great party favors, and your Bat Mitzvah or Bar Mitzvah is certain to be a success. These mementos will serve as a reminder long after the party is over. 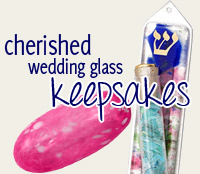 Check out our variety of Bar Mitzvah and Bat Mitzvah party favors at TraditionsJewishGifts.com.